Dr. Wagner is one of the area’s best-known canine ear crop surgeons. For over 20 years, Dr. Wagner has performed over 100 ear cropping procedures on dogs and Granville Veterinary Clinic has taken pride in their success. Ear cropping is a surgical procedure that involves removal of part of the pinnae (ear tissue) to create an upright pointy ear. We use laser surgery. It is most commonly done in Doberman Pinschers, Great Danes, Boxers, Miniature Pinschers, Pit Bull, Beauceron and Caucasian Shepard Dogs. At Granville Veterinary Clinic, we most commonly perform the surgery on Doberman Pinschers, Great Danes and Boxers but have seen many more of these breeds. For an Ear Cropping/Trimming procedure to be successful we require full cooperation from you. We will set specific times for follow up procedures to be done and it is absolutely mandatory that you adhere to our schedule. There is no acceptable excuse for not making the set time. Make other arrangements to get the pup here if you cannot make the specific times yourself. Rescheduling for your convenience is not acceptable, our set times must be honored. There is a $50.00 non-refundable deposit required at the time of consultation to be used towards the cost of the surgery. If you do not show up for the assigned surgery date, the deposit will be forfeited unless we have 24 hours notice. Full payment is required at the time the pup goes home. No checks will be held, nor will payment plans be accepted. The quoted price includes the surgery, post-op antibiotics, and the first three to five visits for post-op care. Subsequent visits, including taping/bracing, will be at least $15.00 for the procedure. Surgery: Pup goes home with ear brace on. You are expected to help prevent the pup from removing the brace. Day 7: Removal of the brace and rewrapping the ears. Day 14: Suture removal and second taping of the ears. Day 21: Ear tape brace removal and re-evaluation. Subsequent taping is not generally necessary but will be required at the doctor’s discretion. There will be at least a $15.00 payment at time of service. Good results are dependent on good and timely follow up care. With your full cooperation, we expect the perfect ear. However: there is no guarantee and this agreement should not be perceived as one. 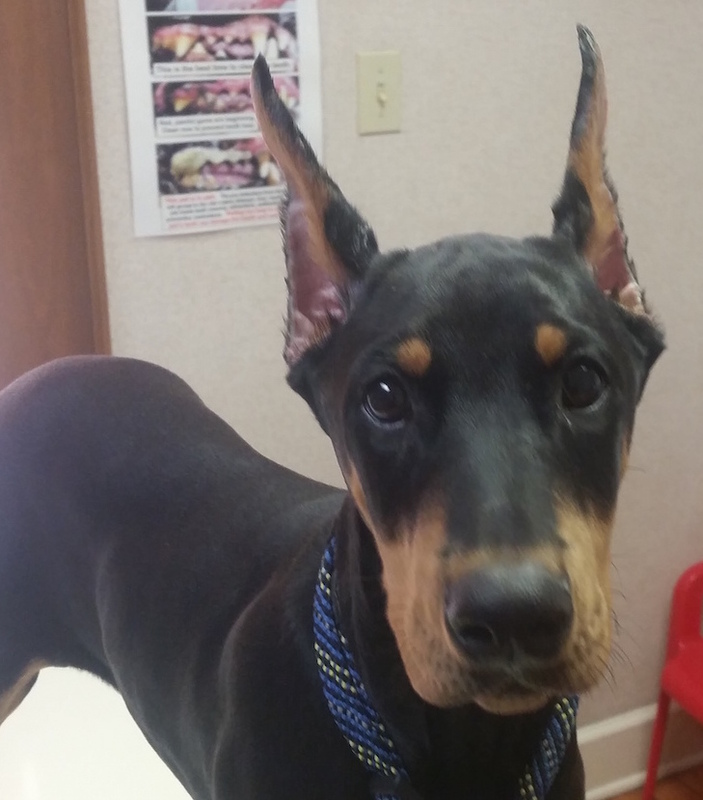 Based on our history, referrals from other Veterinarians, and maybe someone you know, we feel confident and competent to do the ear cropping procedure. You will be asked to sign an Ear Trim Agreement at the time you elect to book this surgery. Get more Ear Trim Post Op Agreement. To book an appointment for a consultation with Dr. Wagner, please call us at (740) 587-1129.